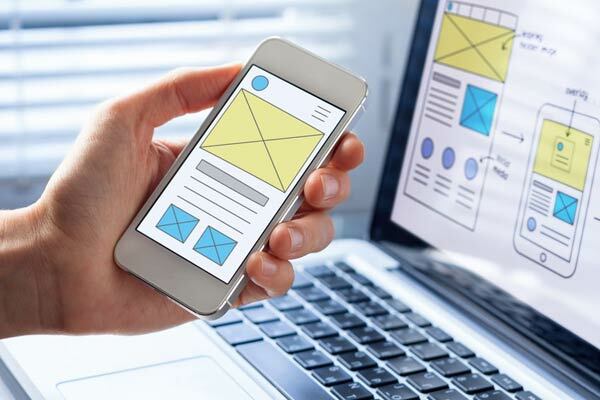 The fold line – an idea which harks back to the way newspapers are folded so only the top half of the page shows – is still an important aspect of your website. Anything you can’t see immediately, which requires scrolling down to see, is ‘below the fold’. It’s essential that your attention-grabbing ‘headlines’ are above the fold, immediately visible when you land on the page. Two good examples of this principle and of clean user experience design are Macy’s and John Lewis. 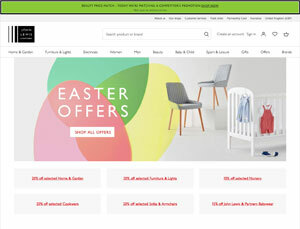 With John Lewis, it’s clear that everything above the fold is the essentials of their business, such as homewares, clothing and electronics, and from here you will be able to get to the point of purchase in three clicks or fewer. Both sites are also great examples of UX for mobile, blending the best of traditional marketing concepts with best practice for digital commerce. Data is your best friend with a quality UX design and mapping. You absolutely have to drill down and make adjustments accordingly. The UX adjustment will vary widely according to the amount of traffic going through your website. For some, the amount of data could be adequate in a week – others a month. Whatever the case make sure you have collected enough and weigh heavily on the past performance. This should be done year on year not month to month, so look at the figures for February 2017 against February 2016 – NOT February 2017 against January 2017. There is some good heatmapping software out there and one that I like is Hotjar. You can get going for free and it will give you some really good insights on how traffic is reacting to your website – in particular your homepage. Keep your eye on and follow the data making adjustment for the UX as the key here is to get the potential client to the product in as few clicks as possible. The UX is a continuous flow through the entire site; from the homepage to the thank you page, it all has to be looked at and scrutinized. In theory, the UX data trail only ends at the thank you page – after that your tracking data kicks in (I will look at this at another time). You also need to think of the mapping as John Lewis and Macy’s look at people moving through their physical store – do you think as you walk through these retailers that the displays and aisles are set out in a random order? 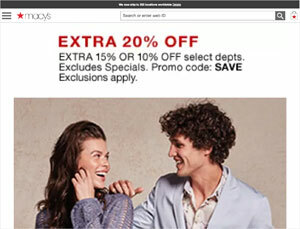 Next to the homepage, abandon carts are an issue and the amount of data that you can collect to get this under control, from heatmapping and Analytics, will all be well worth your time. During the checkout process each phase needs to be streamlined; just think of Amazon 1-click check out, there is a reason it is not 2-click checkout. Simplicity and ease of action are the watchwords. You will always have access to your data but most of us do not think of keeping easy access to our older designs. Especially if you are using heatmapping to track the UX it is simple to create a timeline of changes and events for future reference. You will be surprised how looking back at the data will help lead you down the right design and mapping for your site. Every few months I print everything out and spread it out on the conference table and really get into it – I have everyone look at it and provide feedback. This is not only good fun but you will be surprised what will come out of it – directions you never would have imagined on your own. One of the advantages of digital marketing is that it provides feedback from your customers. Never be afraid to use this data to change your marketing model. You may know your business back to front, but insight from other sources is always valuable. Using data and mapping of UX, you should be able to take guidance from your customers as to how your website should look, and where it should lead them. You shouldn’t feel bound by standard design practices here – user experience always trumps your own tastes. By all means make your own decision about such elements as the images you use on your website – but if UX shows you that that wasn’t the best decision, be prepared to change it. Your website doesn’t have to be (and probably shouldn’t be) a mirror image of your own tastes and personality – it’s a sales tool, serving the functions of a window display, a PR operation, a sales manager, a lead generation source and a data mining operation. Use feedback to manage, develop and refine your website and you will make it perform best for you.